**Highlights**The heroine defies convention by arriving unescorted on the doorstep of a single gentleman.The threat of scandal looms ...The aftermath ...Overview Elizabeth determines to right a wrong against her family by reuniting her sister and the man she loves.Society's expectations and decorum are but a few things standing in her way. Upon discovery, will Elizabeth forgive the one man who has been the means of disappointing the hopes of a most beloved sister? 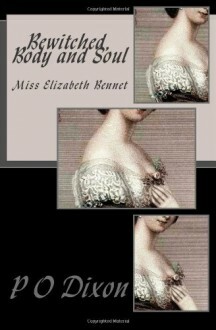 **What Readers Say**"The tension/angst between Darcy and Elizabeth was perfect throughout the story. It wasn't too much but just enough to keep the readers wanting more." Stephanie H., reader "I just couldn't stop reading until I finished it." Robin Helm, author**Quotes**"The past weeks had taught him that it would take more than time and distance to release him from the spell of the beguiling country miss who managed to captivate him with a nod of her head, a witty turn of phrase, and a teasing smile." Mr. Fitzwilliam Darcy"Undoubtedly, he cares. I am never mistaken about these things." Miss Elizabeth Bennet"How nonsensical. With such a mother, it was no wonder his daughters were such frivolous creatures." Mr. Bennet"In my opinion, the course you are set upon is guided less by reason and prudence than by a desire to manipulate events best left to others." Miss Mary Bennet"Why must you be aloof with me, Mr. Darcy? Surely, my brother has told you how much I esteem you." Lady Gwendolen HelmsleyBewitched, Body and Soul: Miss Elizabeth Bennet ~ A Regency historical fiction adaptation of Jane Austen's timeless classic Pride and Prejudice.